Faviana Style S10178 is a showstopper! This long, full mesh dress is super flattering on all body types, but especially the pear shaped body type as it fits snug on the bust and loose on hips. 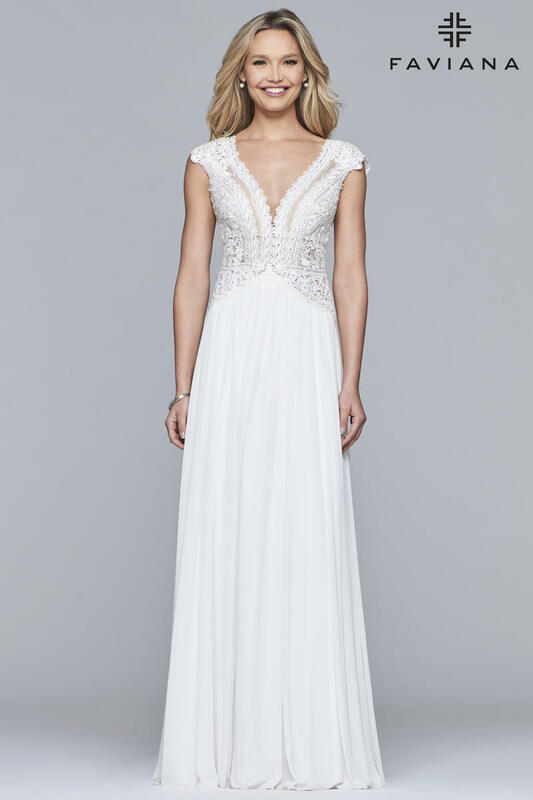 Available in Black, Ivory, and Navy, this dress features stunning lace bodice details and soft, feminine cut-outs in the back with a beaded belt and cap sleeves. Keep accessories minimum - this dress itself makes a statement. Capture the room at your next gala, as a red carpet dress or your wedding dress!